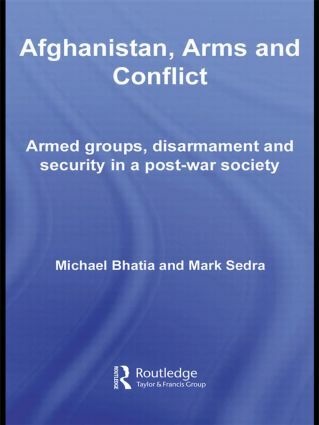 This is the first book to provide a comprehensive assessment of small arms and security-related issues in post-9/11 Afghanistan. It includes case studies which reveal the findings of in-depth field research on hitherto neglected regions of the country, and provides a distinctive balance of thematic analysis, conceptual models and empirical research. Exploring various facets of armed violence and measures to tackle it, the volume provides significant insight into broader issues such as the efficacy of international assistance, the ‘shadow’ economy, warlordism, and the Taliban-led insurgency. In an effort to deconstruct and demystify Afghanistan’s alleged ‘gun culture’, it also explores some of the prevailing obstacles and opportunities facing the country in its transition period. In so doing, the book offers valuable lessons to the state-builders of Afghanistan as well as those of other countries and regions struggling to emerge from periods of transition. This book will be of much interest to all students of Afghanistan, small arms, insurgency, Asian Studies, and conflict studies in general. Ghor Province: All against all?